Women carry extra body fat for numerous reasons. Women’s essential body fat is around 12%, as opposed to 3% in men. Essential body fat is the fat which is necessary for normal bodily functions. In women, this includes reproductive processes. If you’re relying on scale weight to track your fitness progress, you’re missing out on key variables that are actually better indicators of progress. For example, your scale weight may remain constant, making you think you’re not progressing, while your body composition is changing significantly for the better. If you do not know your body fat percentage, you can use a body fat percentage calculator to estimate your fat percentage. However, it is always more accurate to get your body fat measured by a qualified practitioner such as a personal trainer, your doctor, or a dietician. Remember, all body fat measurements are really estimations. Learn why here. 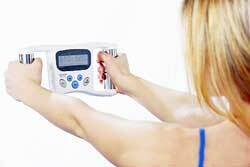 You can use any measurement method to determine your body fat percentage. Body fat measurements for women are just as important as a body fat measurements for men. When you determine your body fat percentage, you determine your body composition, which tells you how much lean body mass or muscle mass you have as well. Why Should You Get Your Body Fat Measured ? The key to success in a fitness program is to set goals and make progress toward achieving them. If your goal is to tone up or lose weight, it is important to know your body composition. 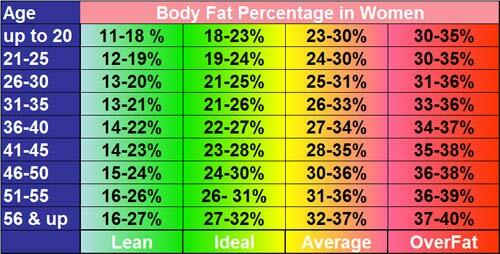 If you know your body fat percentage, you have a valuable piece of information. The body fat percentage in women will decrease with the proper exercise and nutrition program. If your body fat percentage does not decrease, it is a sign that you are doing something incorrectly. A body fat percentage measurement will give you an estimate of your fat mass versus lean body mass. Every time you reassess your body composition, you will see if you are burning fat or using up your lean body mass as fuel. Your lean body mass is metabolically active tissue. Lean body mass is everything which is not body fat. You may have heard of your lean body mass be referred to as muscle, but lean mass also includes your organs, body water, bones and muscle. The more lean body mass you have, the more calories you will burn throughout the day. Storage fat (adipose tissue) is metabolically inactive. It acts as an energy reservoir to supply your body with energy in times of need. Two calories per day is all each pound of your stored body fat needs to persist. If you weigh 150 pounds and your body fat percentage is 25% body fat, you have about 38 pounds of fat and 112 pounds of lean body mass. This means over a 24 hour period, your stored body fat will contribute only 76 calories towards your metabolism. Your lean body mass accounts for the remainder of your metabolism. The majority of your body’s energy needs reflects the needs of the organs that keep you alive. Your muscles use the rest of the energy to maintain. You muscles can burn up to 6 calories per pound per day. Muscle is 3x more metabolically active than body fat. Six calories may not sound like much but it is significant. For example, if you replaced 10 pounds of body fat with 10 pounds of muscle, you would burn 14,600 more calories over a year. That’s over 4 pounds of fat you would lose at rest, not including exercise. This is not the only positive reason to lower body fat percentage in women. Muscle is more dense than body fat. If the body fat percentage in women is lower, clothes fit better. A very simple analogy: 5 pound of muscle takes up the same amount of space as 3 tangerines. 5 pounds of body fat takes up the same amount of space as 3 grapefruits. What is the Best Way to Burn Fat and Lower Body Fat Percentage? Staying active is most important to lowering the body fat percentage in women. What type of exercise to choose depends on your goals. 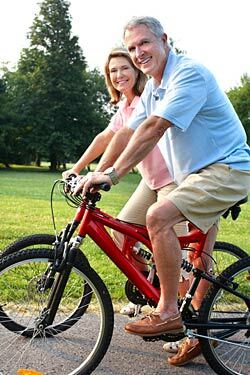 If you want to tone up and lose a couple pounds, being active may be all it takes. If you want to lose 50 pounds, you may have to put in considerable time at the gym. However, some of the best exercises for women can be done in your own home. Rather than be “on a diet”, you should focus on proper nutrition. Diets are short term solutions which may have long term negative consequences. You should either consult a nutritionist or dietician or start a weight loss program such as weight watchers if you do not yet know why nutrition is so important. 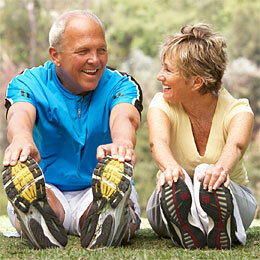 If you use the best healthy supplements correctly, they can be benefit any active lifestyle. If you are looking to lose weight, you can also try weight loss supplements. Just make sure you use them to supplement a healthy exercise and nutrition program. If you use unhealthy ways to lose weight, you will most likely burn lean mass as well as body fat. This will make your weight loss more difficult to maintain. A combination of exercise, nutrition, and supplementation is the best way to lower the body fat percentage in women. If you keep it healthy and combine the three, they will work together to provide you with the best results.